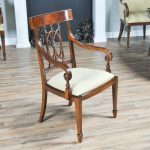 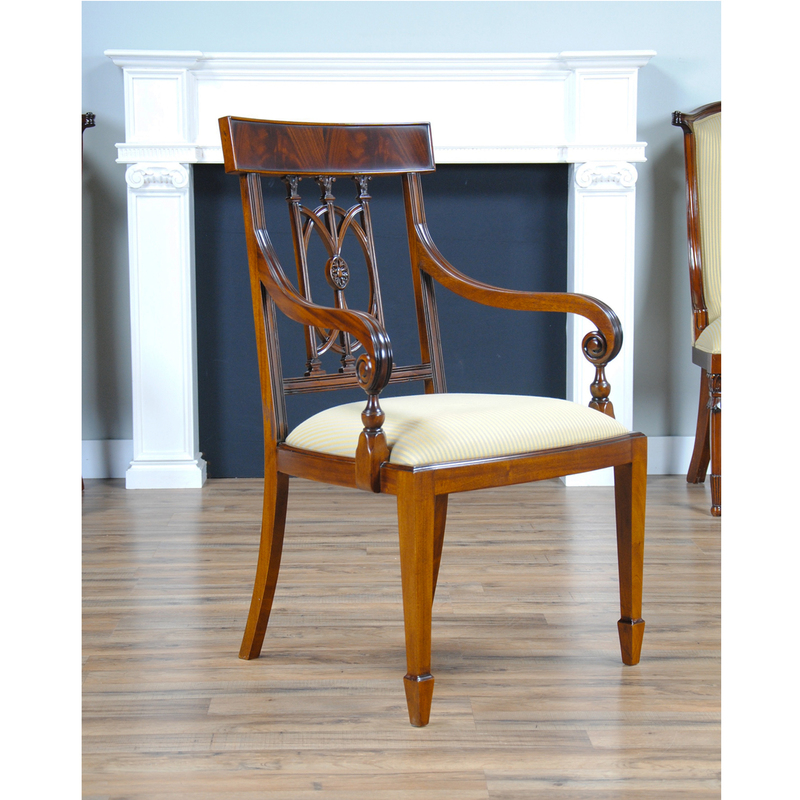 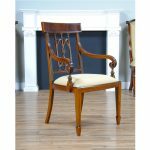 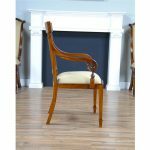 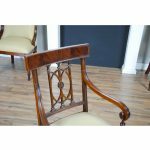 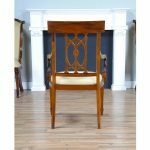 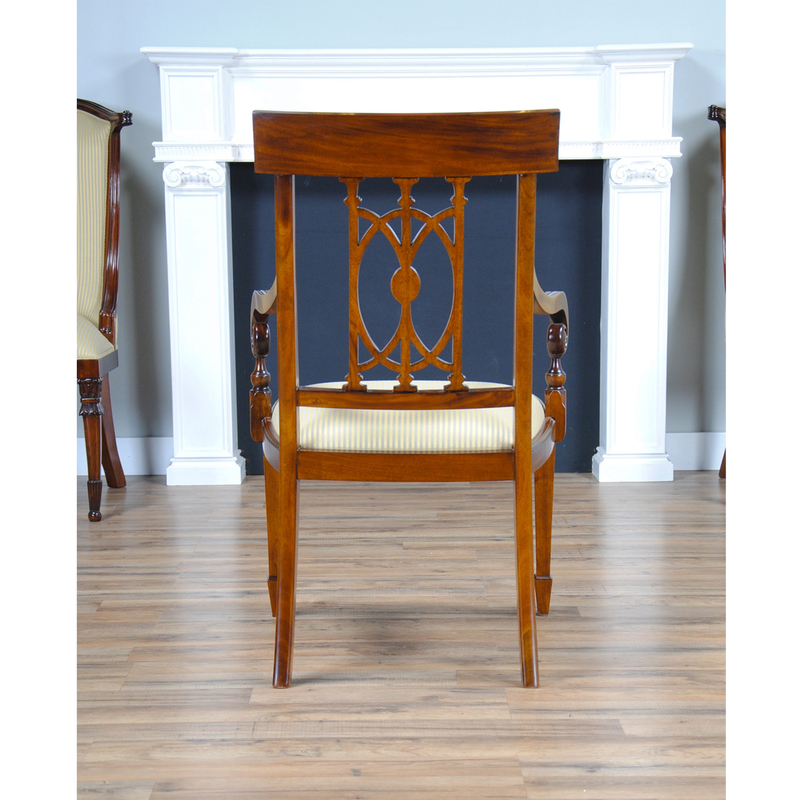 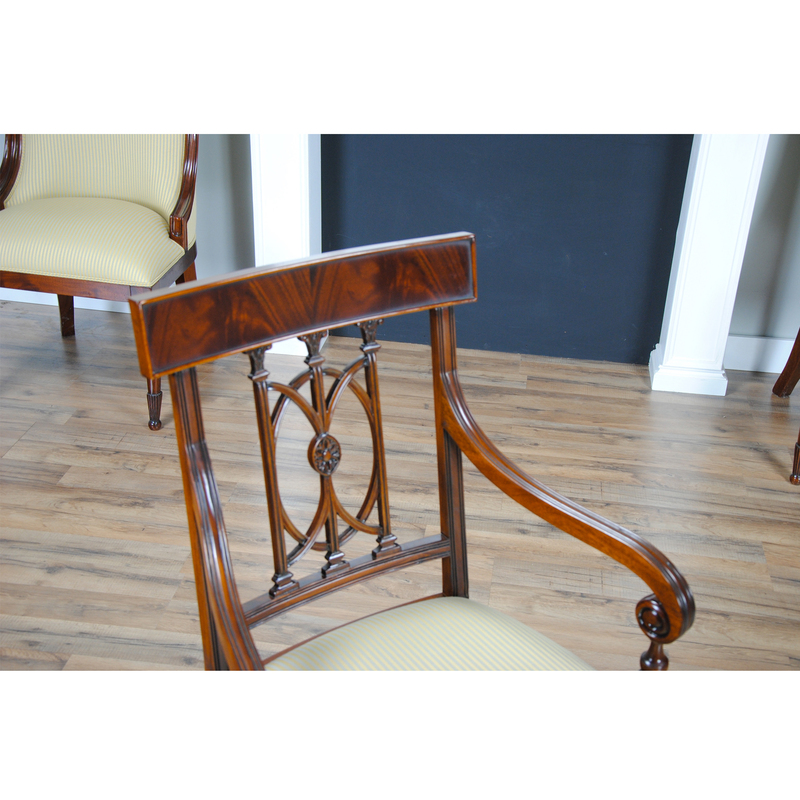 The Niagara Furniture Mahogany Hepplewhite Arm Chair is a high quality dining chair with various hand carved details to help it stand out from mass produced counterparts found elsewhere in the marketplace. This chair has been a great seller ever since it was introduced. 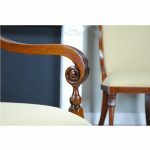 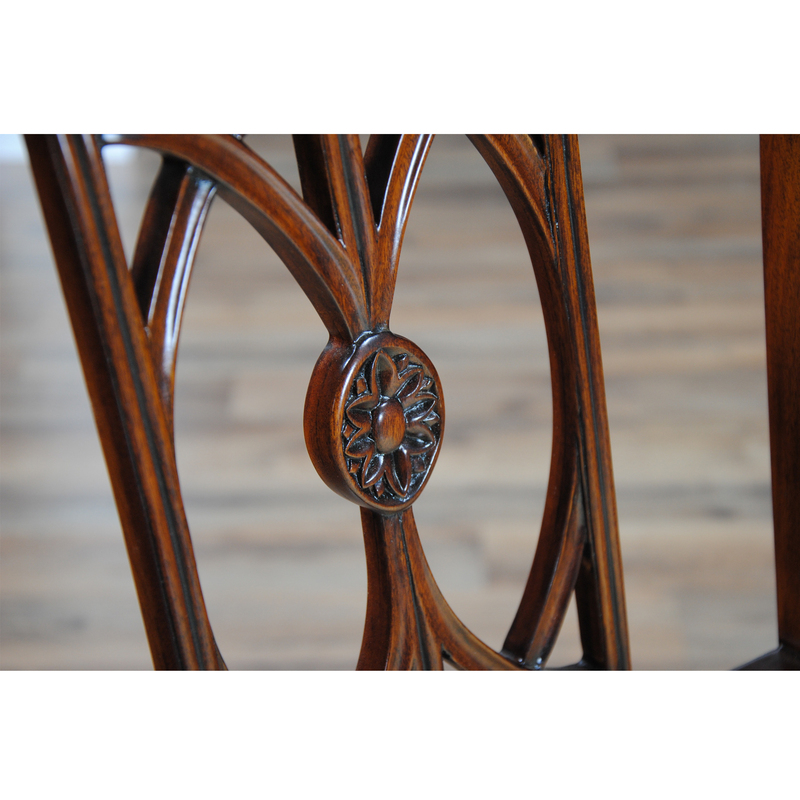 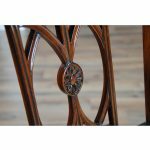 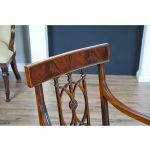 A broad and appealing crest rail mounted over the carved and curved back splat make this chair both stylish and comfortable. 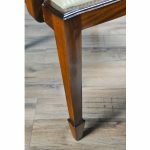 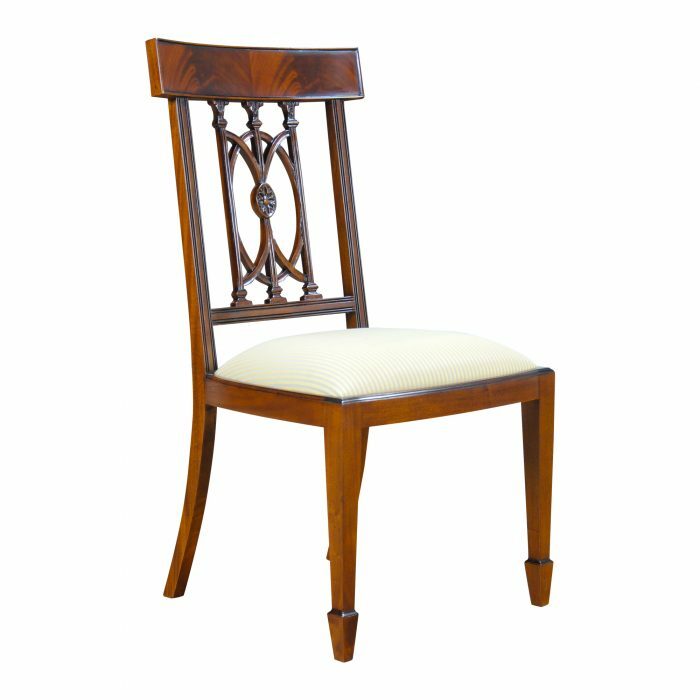 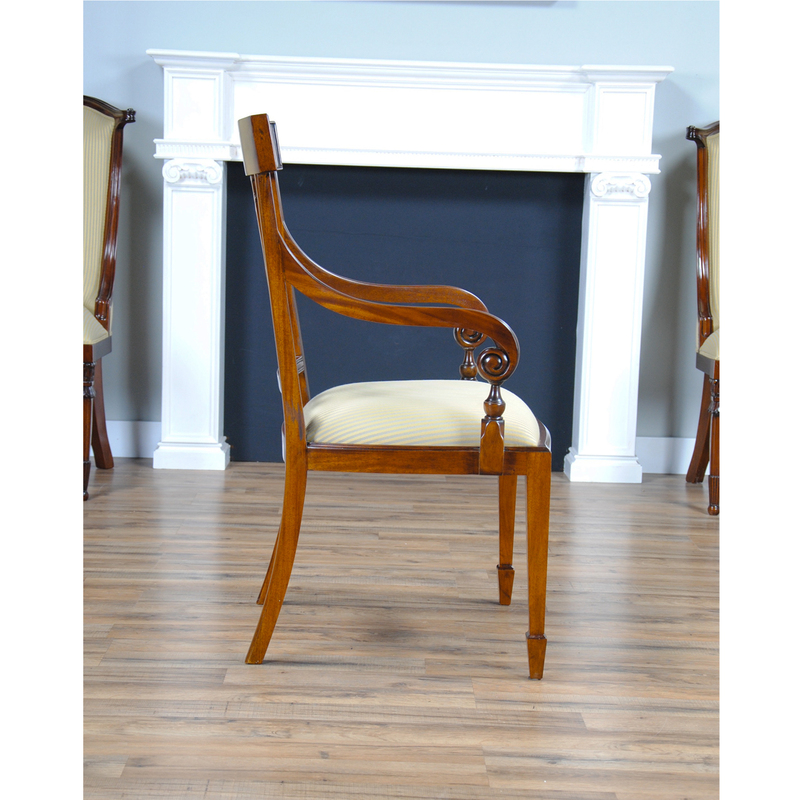 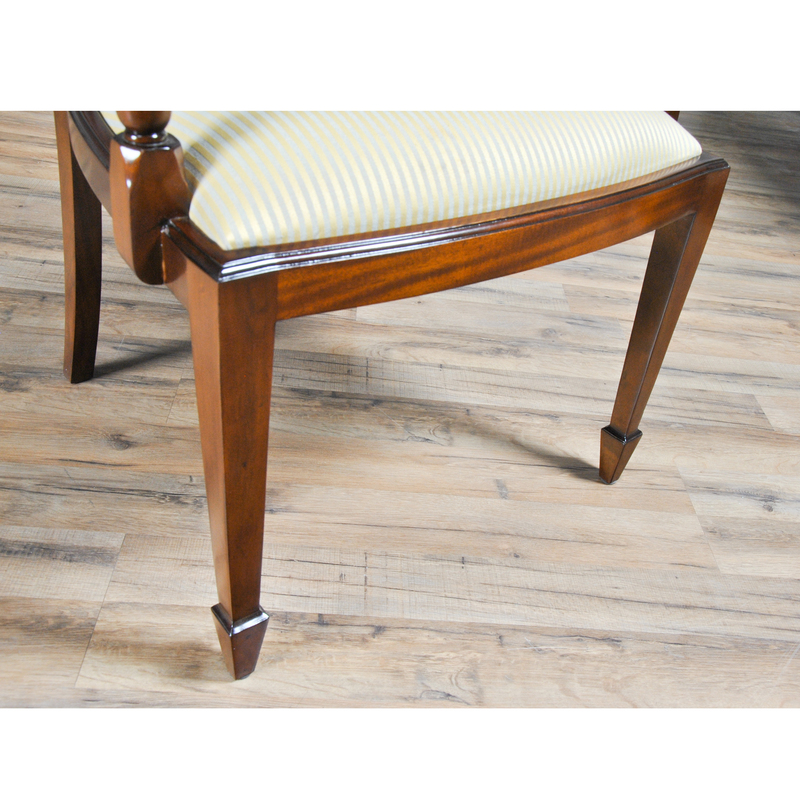 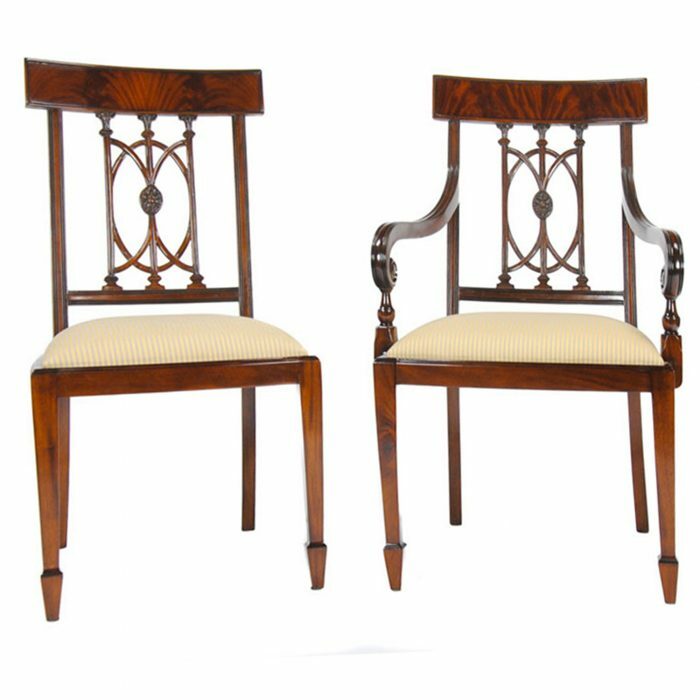 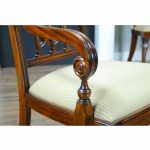 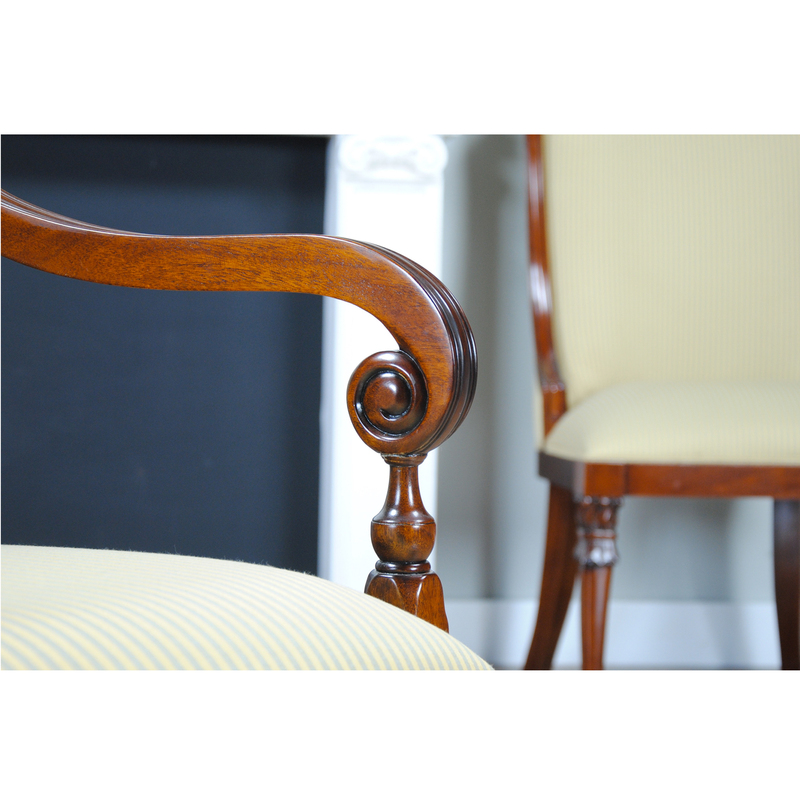 An easy to remove seat cushion makes reupholstering the Mahogany Hepplewhite Arm Chair simple and square tapering legs in the front ending in spade feet add a classic look reminiscent of great cabinet makers such as George Hepplewhite. 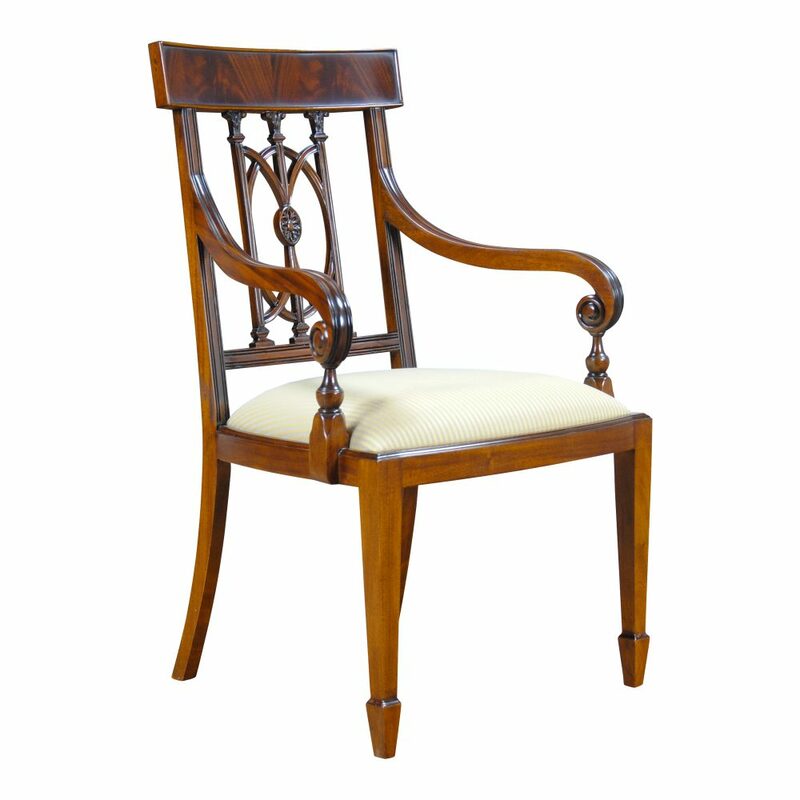 Arm Height approximately 27 inches at Arm Support and Seat Height approximately 19 inches.